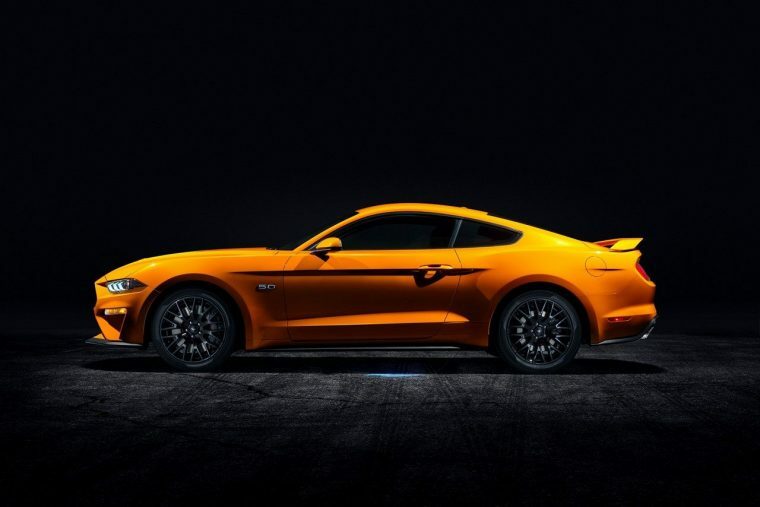 The iconic Ford Mustang is here once again, bringing back everyone’s favorite sports car in 2019. After recently hitting the milestone of 10 million Mustangs built, Ford continues to create Mustangs that live up to its reputation, 54 years later. 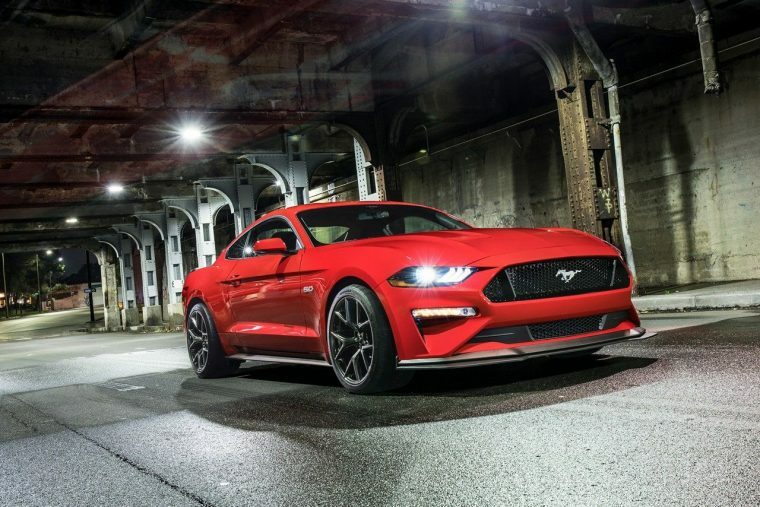 With the 2019 Mustang, the classic performance car only continues to get better. 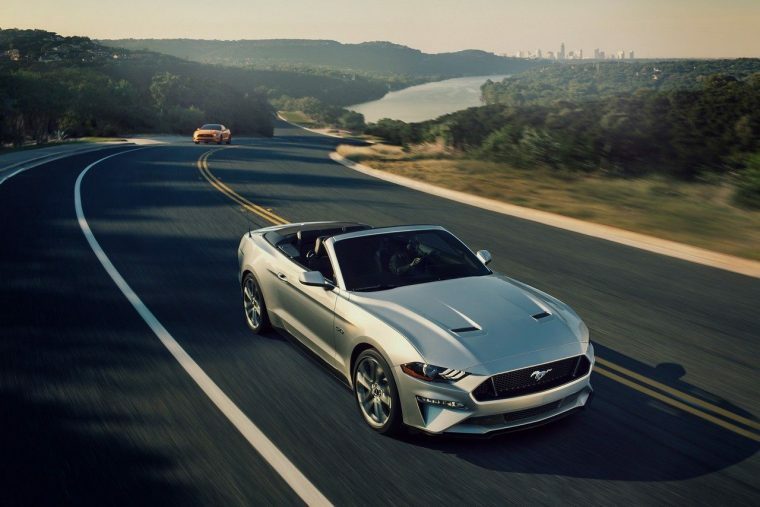 The 2019 Ford Mustang is available in eight trims: EcoBoost Fastback, EcoBoost Convertible, EcoBoost Premium Fastback, EcoBoost Premium Convertible, GT Fastback, GT Premium Fastback, GT Premium Convertible, and BULLITT. What’s New for the 2019 Ford Mustang? Everyone’s favorite sports coupe is back, and it promises to remain the best-selling sports car in the world for 2019. The 2019 Ford Mustang lineup features an all-new Ford Mustang Bullitt model that brings back memories of the 1968 movie “BULLITT.” The third generation of the Mustang Bullitt promises to enhance its classic features by packing it with modern technology and power. The California Special Package gives you options to customize your GT Premium for an extra punch, while a refreshed color palette is found across the lineup. New colors include Dark Highland Green, Need For Green, and Velocity Blue, while Royal Crimson, Triple Yellow, and Lightning Blue are no longer options for the 2019 Mustang. You can now choose from 14 different styles of wheels to achieve that perfect ride. 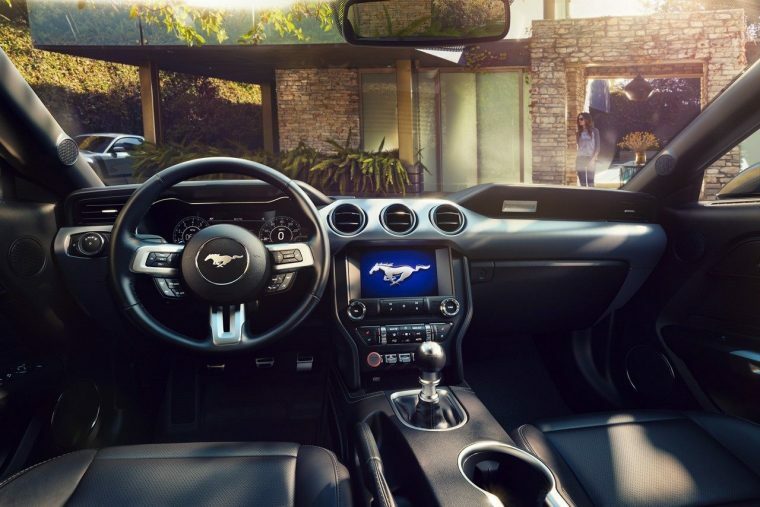 The interior is also updated, with new technology, safety, and convenience systems finding their way into the 2019 Mustang lineup as well, such as an all-new B&O PLAY premium audio system available starting on the EcoBoost Premium Convertible. The specs for the Shelby GT350 and Shelby GT350R have not yet been released, though we know it’s been updated to include a new spoiler, new tires and wheels, and new technology inside, so keep an eye out for more information about those models. The aggressive stance of the Ford Mustang remains thanks to its classic grille and sloped design. Available as a convertible or a coupe, the 2019 Mustang has a striking sport look that you can easily change depending on your mood that day by opening and closing the cloth top easily and quietly from the driver’s seat. With all-LED front lighting, 10 exterior colors, and 14 different wheels to choose from, the Mustang’s smoking-hot looks makes a statement from a mile away. Two engines are available on the 2019 Ford Mustang. The EcoBoost models have a 2.3-liter EcoBoost GTDI four-cylinder engine under the hood. Paired to a six-speed manual transmission or available 10-speed SelectShift automatic transmission, the EcoBoost generates 310 horsepower and 350 lb-ft of torque. 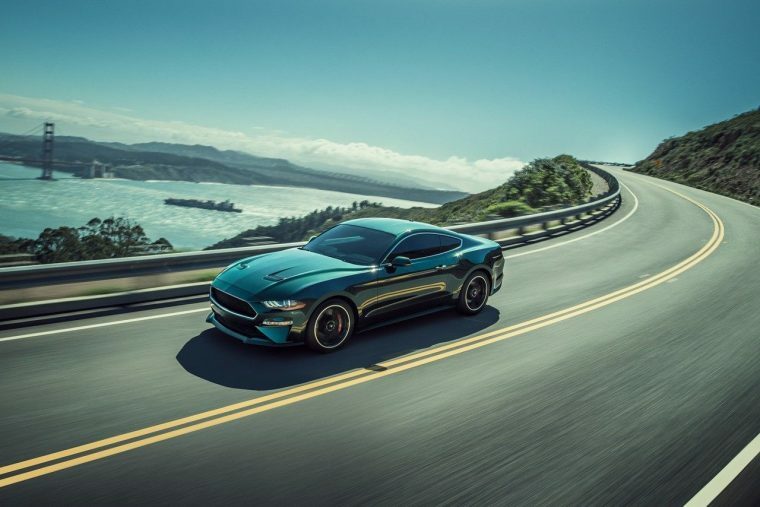 On the GT models and the Bullitt, a 5.0-liter Ti-VCT V8 engine comes standard with six-speed manual transmissions with Rev Matching, while the 10-speed SelectShift automatic is available on the GT models. This larger engine generates 460 horsepower and 420 lb-ft of torque. The fuel economy for the 2019 Ford Mustang depends on the engine, model, and transmission. Below are the efficiency ratings for the different Mustang tiers. When you get behind the wheel of a 2019 Ford Mustang, it’s all about you. From customized colors and gauge layouts to the new available B&O PLAY™ Premium Audio System, the Mustang interior is built around you to provide you with an unforgettable driving experience. Ford knows the importance of safety with style, which is why the 2019 Ford Mustang is filled with standard passive safety features and available driver-assist features. The Ford Safe and Smart™ Package includes Lane-Keeping System, Pre-Collision Assist with Pedestrian Detection, auto high-beams, adaptive cruise control, automatic emergency braking, rain-sensing wipers, and forward collision warning with brake support.